Are you anticipating healthcare expenses in the near future and want a cash reserve to cover your costs? Perhaps you want to plan ahead for a surgery and create a savings fund you can contribute to regularly, but are afraid it’ll be too tempting to dip into a general savings account. If this describes you, it may be time to get a Health Savings Account (HSA). There have been many healthcare law changes that affect HSAs under the Affordable Care Act (ACA) (also called Obamacare) to keep track of as you prepare your taxes and plan your budget. For example, 2014 is the first tax year you must report whether you had health insurance coverage for the entire year. If you didn’t have coverage, you’ll have to pay a fine or get a health coverage exemption, and if you went part of the year without coverage, you must report why. Despite many of the benefits to middle class families the ACA has brought about, numerous households have seen an increase in healthcare costs. Many workers have found that their employers may require them to pay more out of pocket, or their coverage may have changed. If you find your costs have gone up and your deductible is high, an HSA may be for you, regardless of the changes they are undergoing. We’re going to break down all the information you need to know concerning HSAs so that you can decide if they’re right for you. 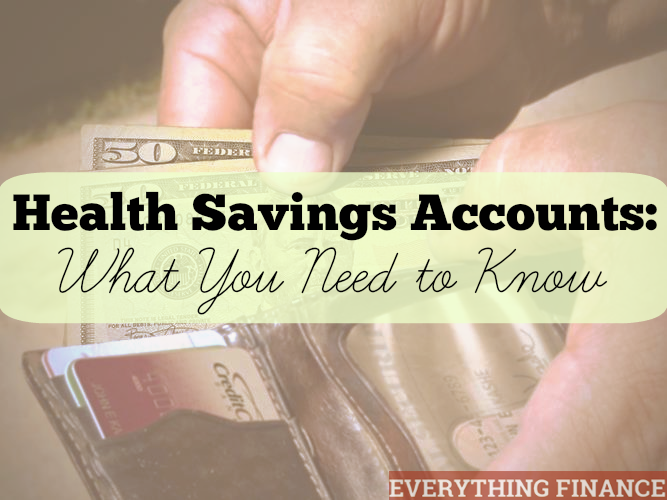 An HSA is a medical savings account that’s also tax-advantaged. HSAs are considered tax-advantaged because they aren’t subject to federal income tax. Taxpayers with high-deductible health plans can enroll in HSAs to offset healthcare costs. Funds held in an HSA can be used for qualified medical expenses. Some examples of qualified expenses include payments for prescription drugs, medical devices, eyeglasses, surgeries, copays, and mileage for travel to and from medical treatments. When funds in an HSA are used for qualified expenses, they aren’t subject to federal tax liability or fees. After age 65, funds in your HSA can be used for non-medical expenses, and you don’t incur fees for those expenses. Employers may also contribute to HSAs on your behalf, and the funds can act as a sort of retirement fund, as interest compounds on the account over time. In these respects, HSAs share many of the same traits as IRAs (Individual Retirement Accounts). HSAs do have disadvantages which may be a turn-off to individuals looking for a way to save money for their medical costs. For example, HSAs may be subject to state income tax depending on where you reside. This may be seen as a disadvantage if you open an HSA with the expectation your funds will go towards medical expenses rather than taxes. HSAs have a contribution limit as well, meaning once you reach the cap, you can no longer put in funds towards healthcare costs. However, if your funds are used for non-medical expenses, you may face penalties similar to those faced when withdrawing funds from other accounts, such as an IRA. There are many benefits to contributing regularly to a fund you can use for health expenses without worrying about fees and penalties. However, an HSA may not be right for you. In fact, you might not qualify for an HSA. Something that might disqualify you is if your health insurance plan is not a high deductible one. The good news is, there are other types of accounts that may be a better fit for your financial and personal situation. Two such accounts are a flexible savings account (FSA) or a Health Reimbursement Arrangement (HRA). Let’s take a look at these options. This type of account is a tax-advantaged plan much like the HSA. FSAs may be used for medical expenses, but may also be used for dependent care or other expenses. For example, you could use the funds in an FSA for daycare costs. There may also be a cap on the contribution limits, depending on your tax filing status and the number of dependents in your household. Most FSAs are healthcare related and may go by the terms medical expense FSA, medical FSA, or health FSA. However, other FSAs exist for reimbursements such as non-employer sponsored premiums and parking and transit expenses. In other words, depending on your FSA, you could save money towards parking, riding the bus, or taking the subway to and from work. Like with an HSA, you can lower your tax liability through your contributions. One of the major disadvantages to FSAs, however, is that there’s a “use it or lose it” policy from year to year, so you can’t fully roll your contributions over each year. Only $500 from your FSA may be carried over, according to terms under the ACA, and this amount must be spent by March of the next year. Additionally, if you open an FSA with one employer, it won’t travel with you to another job. This could be a disadvantage for younger individuals looking to advance in their careers. Solely funded by the employer, an HRA is a tax-advantaged employer health benefit plan. With HRAs, the employer reimburses employees for health insurance premiums and medical expenses for which they pay out of pocket, such as copays and deductibles. Both employees and employers receive tax advantages from HRAs, which is why business owners may consider them for their health plans over other choices. There are some disadvantages to having an HRA. One is that self-employed professionals don’t qualify for an HRA because they’re considered group health insurance plans. However, a self-employed person may qualify if they employ a spouse in their business. In that case, the spouse would need to have a W-2 form established with the company. Also, participants considered “highly compensated” are subject to limitations. HRAs are also opened, administrated, and accessed by employers and their staff, not the employees they serve. In this respect, they differ greatly from HSAs, as they must have some kind of funding in them for the individual to use. With HRAs, an employer can write off the reimbursements for later, rather than have a regular contribution going to the HRA. In other words, if you have an HRA for your company and want to reimburse an employee for a qualified expense, you may write them a check or include the reimbursement in their next paycheck instead of pulling from the fund. Like an FSA, an HRA doesn’t transfer to other jobs, meaning the employee would have to find other means of health insurance, such as COBA, if there is a gap in their coverage during the transition. Now that we’ve reviewed the benefits and drawbacks of various types of health savings plans, here are 5 less common facts about HSAs which may make you reconsider going with another savings account for your healthcare needs. HSAs are relatively new: HSAs were created in 2003 to give tax-preferred treatment of medical expense savings among individuals who have a high-deductible health plan. While you might believe HSAs fall under the United States Department of Health and Human Services, they actually fall under the Department of Treasury. HSAs allow you to pay for medical expenses for other people in your household. If you need to use the funds for a spouse or a dependent, the funds in an HSA are available to them. Some types of savings funds for healthcare costs require you to fill out paper funds or use a specific payment card to access the funds. HSAs, however, are relatively simple to use, and require only your debit card or checkbook to access the money. HSAs may reduce your taxable income, and you don’t have to itemize the deduction, saving the hassle of tracking medical expenses during the tax filing process. Think about that the next time you pay a medical bill that just came in the mail! Saving for healthcare costs can be intimidating, but it’s possible. There are numerous options available to individuals and families that want to create a cushion in case the unexpected happens. HSAs provide numerous advantages, such as compounding interest on the funds and tax incentives to opening one, but as discussed previously, they aren’t for everyone. If you or your family has a high deductible insurance plan, however, an HSA may be a good option for your healthcare needs now and into the future. HSA’s used to be able to be used for bandaids, over the counter medicines, and the like, but that is no longer the case. I can still use them to buy over the counter drugs, but only if I have a doctor’s prescription for them. Second, the amount I can contribute increases when I am 56, not 65. Once I am over 55, I can contribute an additional $1,000 per year, above and beyond the $3,250 individual amount or $6,450 family amount (2013 limits.) But, this is guided by the age of the person who is carrying the coverage. I have family coverage through my employer. My wife is over 55, but I am not, so we are not allowed to take advantage of the catch-up contribution.